I absolutely love picking out costumes for my girls every year. Now that Paisley is 4.5 years old, she definitely knows what she likes and it was so much fun hearing her ideas. 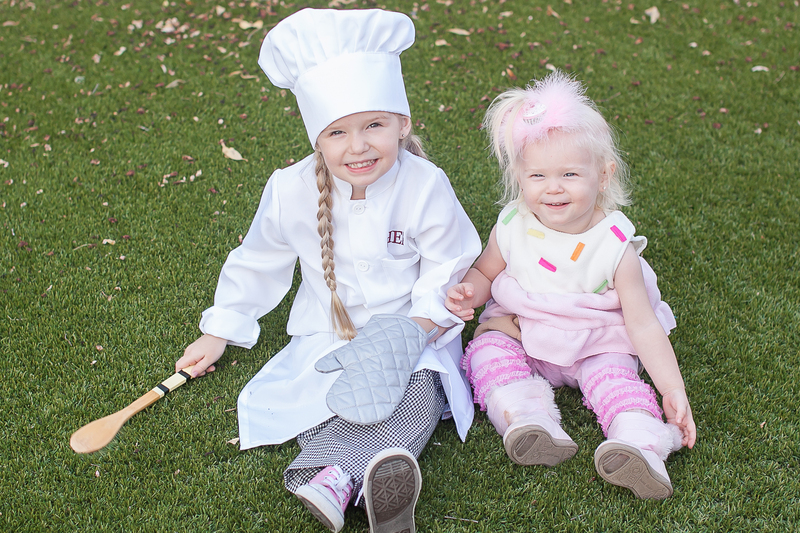 She told me that she wanted a costume that she could coordinate with her little sister, and she told me exactly what her sister should be. Good thing Payton can’t talk yet, or I’m sure we wouldn’t hear the end of it! 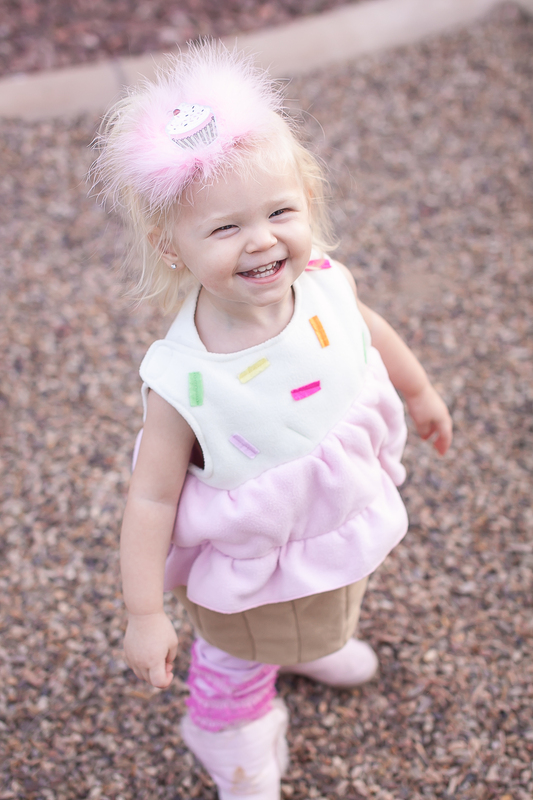 The final outcome is absolutely adorable and I am so excited for Trick Or Treating this year. But first… A recap. To catch you up, the girls were non-matching last year, but they were still absolutely adorable. 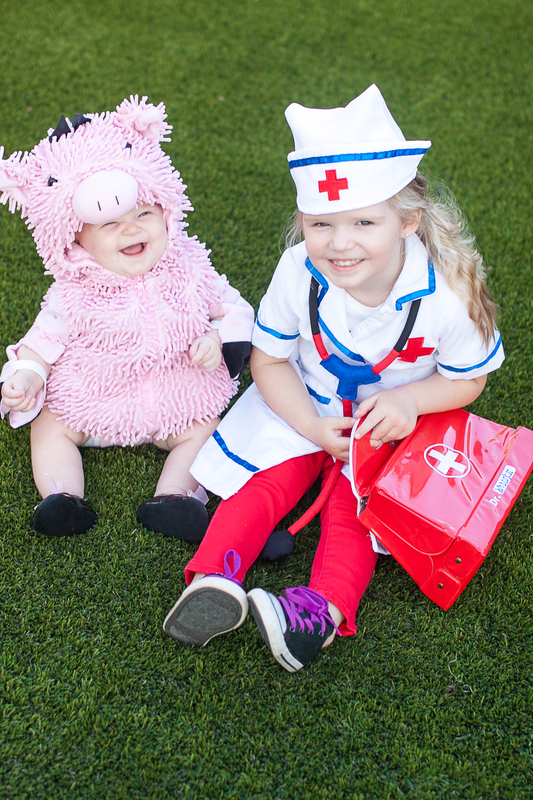 Click HERE to see all of their photos from Halloween 2015. 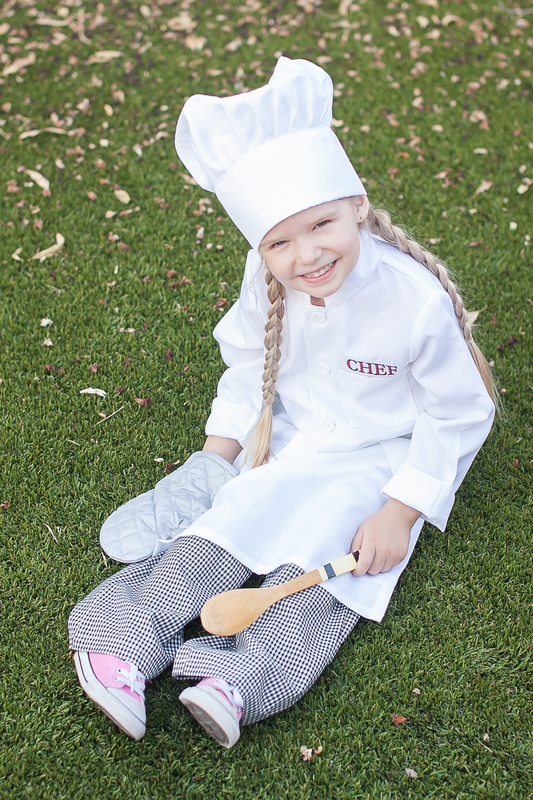 Paisley spends a lot of time baking with me in the kitchen, so it was absolutely fitting to have her dress up as my little pastry CHEF this year for Halloween. 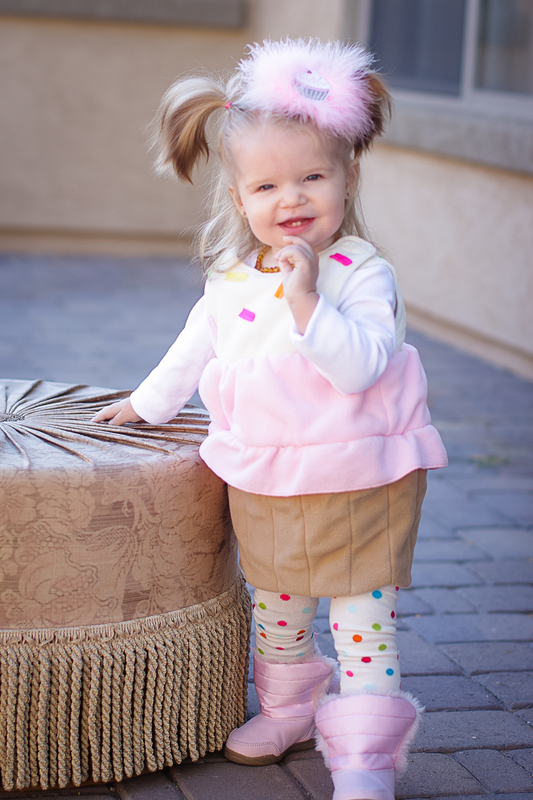 The costume is beyond adorable and she is going to have so much fun running around in it. AND if you are wondering how we are going to coordinate the girls, that part is easy. Paisley decided that Payton is the sweet little CUPCAKE that she baked. I love her imagination! 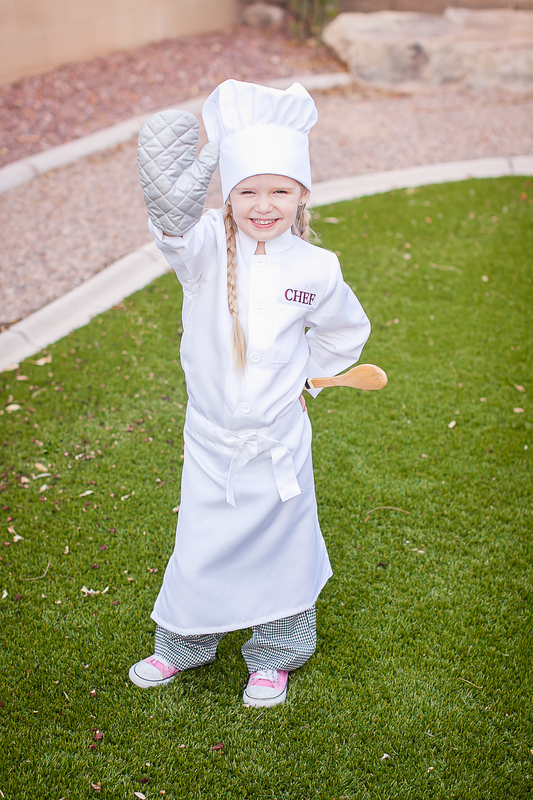 There you have it – We BAKED up two really DELICIOUS halloween costumes this year. Easy and fun! 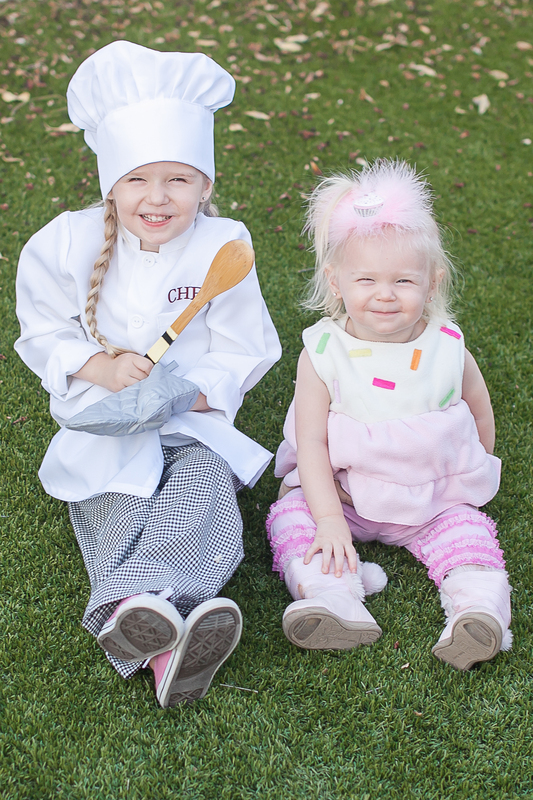 A sweet trip down memory lane… Paisley was a cupcake when she was 1 years old, so I thought it would fun seeing the difference between the girls at the same age in the same costume! Happy Halloween and I can’t wait to hear all about your favorite coordinating costumes. PLEASE SHARE!!! This post contains affiliate links. If you decide to make a purchase through my link, I will make a small commission for it. This doesn’t cost you anything additional. These commissions help to keep the rest of my content free. Thank you! What a cute family you have! Your girls are simply precious! Love the blog! Thank you so much Jehava!